Nearly every day the 116th Congress is in session, on average, a Republican member takes to the House or Senate floor and says Democrats are veering toward socialism, warning that their progressive colleagues would lead America down some disastrous path akin to Nicolás Maduro’s Venezuela. The Democrats’ “Green New Deal” approach to climate change, the “Medicare-for-All” retort to Republicans undercutting Obama’s 2010 health care law, presidential candidate Bernie Sanders and the most visible new member of the House, Rep. Alexandria Ocasio-Cortez of New York, have all been painted as examples of a naive and dangerous socialist onslaught that must be repelled. The administration proposed a $1.31 trillion discretionary spending budget for fiscal year 2020, with sizeable increases in Defense and Homeland Security accounts, including another $8.6 billion to expand the southern border wall. 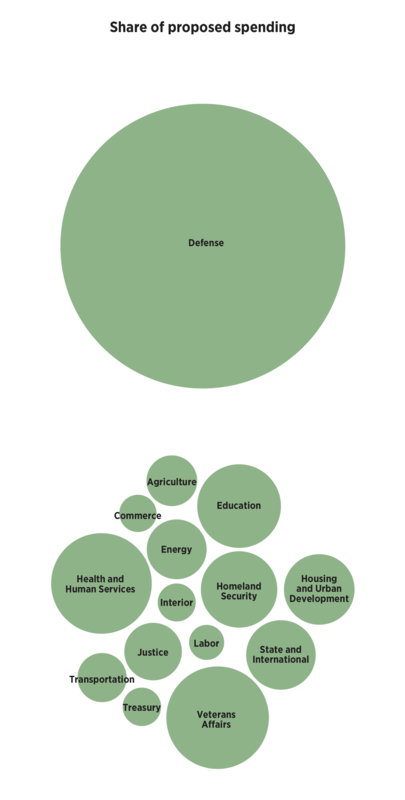 Many nondefense programs would be cut with subsidized loans and various grants to states and communities eliminated. On account of the longest shutdown in government history, Speaker Nancy Pelosi delayed inviting the president to deliver his customary speech about how our country is doing. But President Donald Trump will finally address a joint session of Congress on Tuesday. Strong? Weak? Who can say, really. 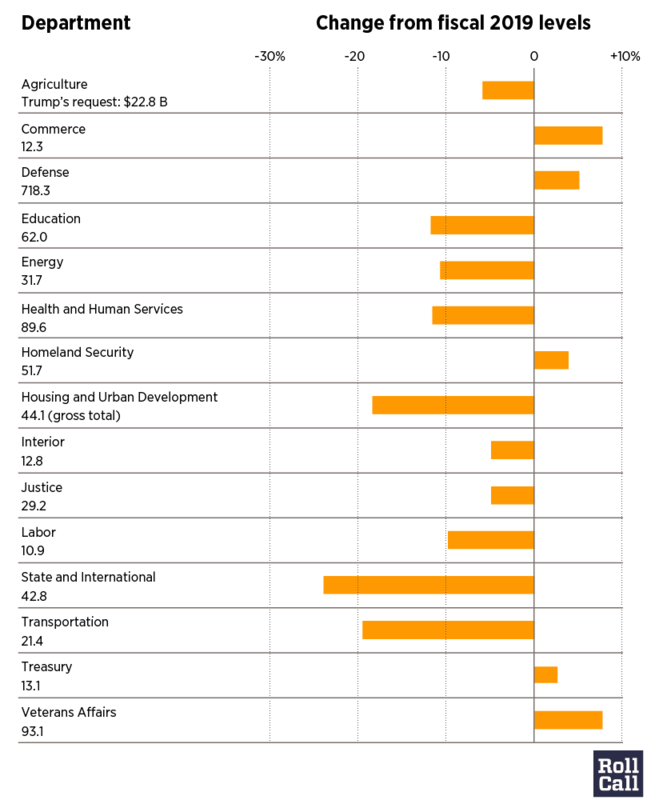 Here’s the state of our union in eight charts. Updated 1/8/19 | Democratic congressional leaders left a meeting at the White House on Friday with little hope for an end to the ongoing standoff over federal appropriations. Schedule for George H.W. Bush's Funeral Services in Washington D.C. The remains of former President George H.W. Bush arrived at Joint Base Andrews on Monday afternoon and services commenced at the Capitol shortly thereafter. Here is the schedule for the Washington D.C. portion of the services and ceremonies accompanying the 41st president’s state funeral. A court ruling last November forced Pennsylvania to redraw its congressional districts in advance of the 2018 elections. So members like Republican Rep. Brian Fitzpatrick are left scrambling to win over thousands of new voters (in Fitzpatrick’s case, nearly 50,000 of them) in order to keep their seats. Fitzpatrick isn’t the only one dealing with an unpredictable, unfamiliar electorate. Of the 16 races rated Toss-ups by Inside Elections with Nathan L. Gonzales as of Thursday, nine were in states where voters register as members of a political party, providing a window on changes in the voter population and alliances in those contests. All nine seats are being defended by Republicans. Congressional candidates are crisscrossing the campaign trails with less than two months until the election, pitching voters their ideas for bills to pass. But those who make it to Washington will likely have a long wait before seeing their legislation become law. Less than a third of the current members of the House had one of their bills signed into law in their first term. The Senate, with fewer members and generally more legislative experience, has a steeper learning curve. Only 12 of the current senators completed or went past their first term with a law to their name. In recent years, about a fifth of the enacted laws did little more than designate names for federal property. Texas Democrat Henry Cuellar leads members of the House with six bills to name federal buildings. He has proposed naming five post offices for veteran communities and a courthouse after George P. Kazen, a district court judge who retired after serving 40 years on the bench. Updated 6:11 p.m. | House Minority Leader Nancy Pelosi claimed the record for longest ever House floor speech Wednesday. Democrats clapped when she announced the new record. Republicans can thank John A. Boehner. Will 2018 Be the New Year of the Woman? With the seating of Minnesota Democrat Sen. Tina Smith on Tuesday, Jan. 3, the 115th Congress is now able to claim 106 female members — the most of any Congress to date. Smith is the 51st woman to serve in the Senate since the first was appointed in 1922. There are currently 22 female senators serving, an all-time high for the chamber, and 84 women serving as voting representatives in the House (just one below the record of 85 set in 2015). Though known members of the archconservative group represent only 9 percent of House Republicans, Freedom Caucus members make up nearly a quarter of the scheduled contacts of their former founding member, Mick Mulvaney, in his first six months as Office of Management and Budget director. Despite the fact that no House Freedom Caucus members are in positions of committee or party leadership, they&apos;ve got Mulvaney’s ear. With two Democrats, Sen. Al Franken of Minnesota and Rep. John Conyers Jr. of Michigan, facing allegations of sexual misconduct in and outside the workplace, Hill watchers may be wondering just how many sexual harassment complaints get filed each year in the Capitol. The answer is less than clear because Congress’ Office of Compliance releases only topline numbers on the complaints filed with the agency each year. In the OOC annual report on the state of the congressional workplace, harassment is one line item, which could include sexual and other types of hostile workplace harassment. The House on Thursday passed a bill to answer President Donald Trump’s call for a big tax cut without the support of a single Democrat. Tax cut votes have historically been bipartisan affairs, with both parties supporting cuts signed by presidents Eisenhower, Johnson, Nixon, Reagan, Clinton and Obama. The Virginia governor’s race Tuesday is not the only one that could have an effect on the future makeup of Congress. Over the next four years, the parties will fight state by state to determine the next decade of congressional power — 36 of those governorships are up next year. Of the Senate’s three oldest members, two — 84-year-old Dianne Feinstein of California and 83-year-old Orrin G. Hatch of Utah — are facing re-election races next year, along with four other members of the silent generation.